A Swagger/OpenAPI definition is one of the most popular frameworks for defining and documenting API projects. The Swagger/OpenAPI Docs document APIs to help developers or end users interact with API resources. A Swagger Spec/OpenAPI file is actually an API resources file that is formatted in JSON/YAML. Suppose you have a Swagger spec file and you want to check if it follows "Swagger guidelines" like: how to describe parameters, requests/responses formats, syntax accuracy, etc. To do that, you can use the open source validator-badge tool. The Validator-badge tool is an open-source tool for validating if a Swagger spec file follows "Swagger rules". If the spec abides by them, the response will be a blank string. Otherwise, you will get a detailed failed string. But instead of manually running the Validator-badge, you can add it to Jenkins with your OpenAPI doc. This will enable you to automate the test, so you can run it whenever you need: every night, every time you update your Swagger file, or whenever you choose. Let’s get started. I will show a solution for Linux. 1. 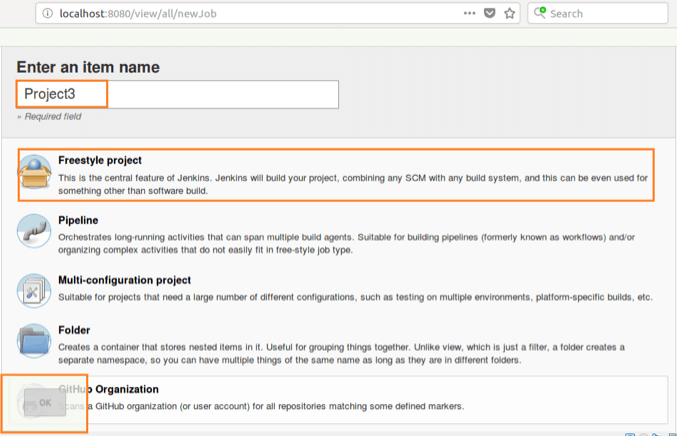 Go to Jenkins and click on “New Item”. 2. Enter a project name (ex: Project3), click on “Freestyle project” and then “OK”. 3. 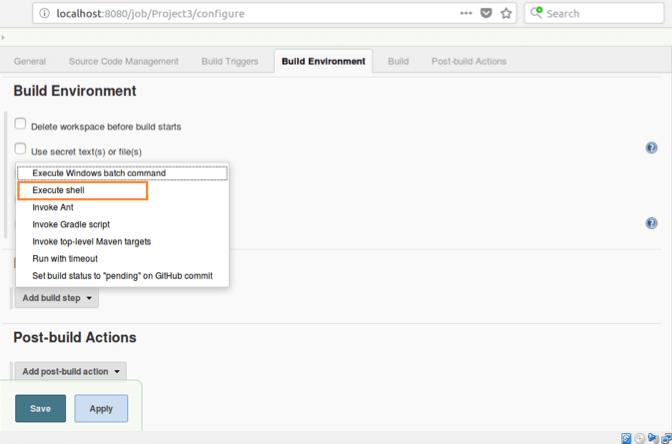 Scroll down to the “Build Environment” section and choose “Add build step->Execute shell”. 4. Let’s suppose we are checking the Swagger spec url http://petstore.swagger.io/v2/swagger.json. Enter a shell script like the one below in the “Execute shell” section and click on the “Save” button. echo -e "\nSorry this is an invalid Swagger:\n$CHECK\n"
The first line tells Linux that the file is to be executed by /bin/bash. This is the standard location of the Bourne shell on every Linux system. The second line downloads the Swagger spec file and locates it in the current project directory (/var/lib/jenkins/workspace/<current project directory> . The third line uses the curl command to send the JSON file to the validator-badge tool with the POST method. The result is assigned to the CHECK variable, either a blank value (passed) or a string value (failed). The last line is an if statement condition. If the CHECK variable is not blank then fail the result. In this case it will print out the sentence “Sorry this is an invalid Swagger:”, followed by the content of CHECK variable. 5. Click on the “Build Now” button. Jenkins is executing the shell script. 6. After each execution, you will see either a blue (passed) or red (failed) dot next to the build number. In this case we have a blue dot next to build number #6. This proves that your Swagger Docs passed. 8. Now let’s look at what a failed case would look like. We will rewrite shell script like below. In this case we will check for another swagger spec url http://51.255.198.41:9090/api-docs.json. echo -e "\nSorry this is invalid Swagger:\n$CHECK\n"
9. Click on the “Configure” button to edit the project. From here you can see detailed information such as: %Total bytes, %Received bytes, Average Download, Status, Detailed Errors, etc. After checking that your Swagger file is properly written, upload it to BlazeMeter and run functional API tests. Learn more from this blog post.